Description Honda Certified, CARFAX 1-Owner, GREAT MILES 7,975! JUST REPRICED FROM $44,560, PRICED TO MOVE $1,400 below NADA Retail! FUEL EFFICIENT 26 MPG Hwy/19 MPG City! Touring trim, Crystal Black Pearl exterior and Black interior. Sunroof, NAV, 3rd Row Seat, Heated Leather Seats, DVD, Power Liftgate, Alloy Wheels, All Wheel Drive. AND MORE! Leather Seats, Navigation, Sunroof, All Wheel Drive, Rear Air, Heated Driver Seat, Back-Up Camera, Premium Sound System, Satellite Radio, iPod/MP3 Input, Bluetooth, Aluminum Wheels. Honda Touring with Crystal Black Pearl exterior and Black interior features a V6 Cylinder Engine with 280 HP at 6000 RPM*. Rear Spoiler, MP3 Player, Rear Seat Audio Controls, Remote Trunk Release, Privacy Glass. 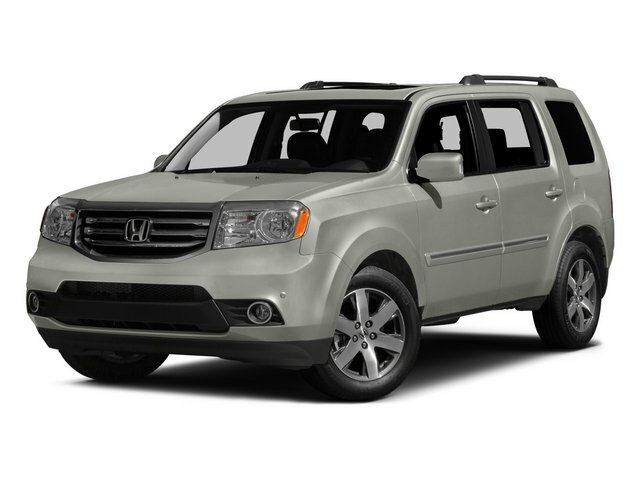 Edmunds.com explains "Given its above-average ride quality and seat comfort plus ample space in first and second rows, the Pilot is a very comfortable SUV.". Was $44,560. This Pilot is priced $1,400 below NADA Retail.